This is a higher definition photograph of the Souviens-Toi : Remember! 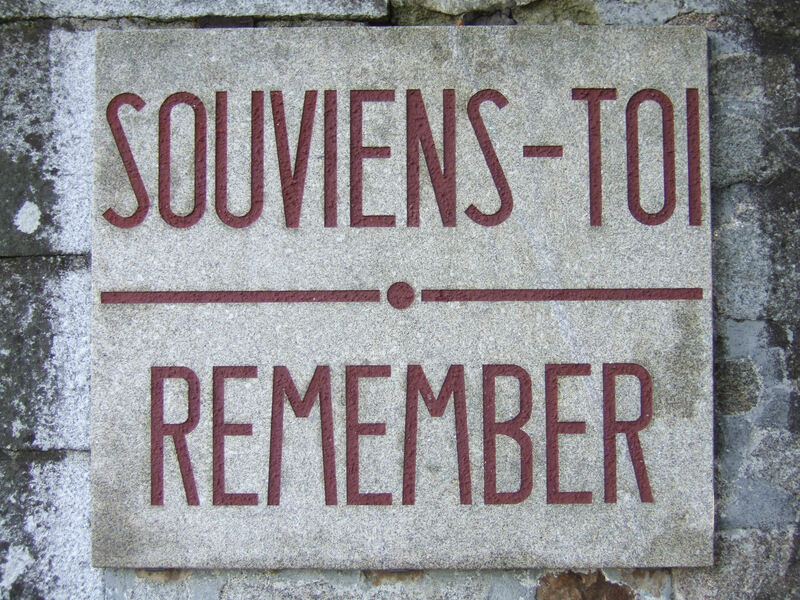 notice displayed at all the entrances to the ruins of the martyr village of Oradour-sur-Glane. For more information and a lower definition picture (124Kb) click on the link.